fig. 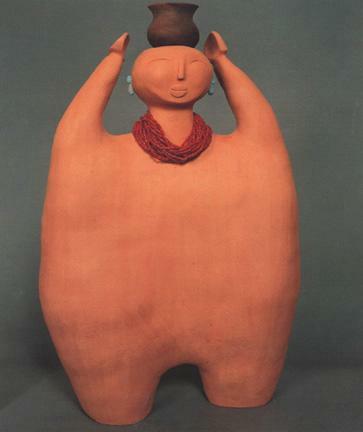 26: Mud woman with pot, 1991. By Nora Naranjo-Morse. 28"x18" dia. Collection of Carol and Charles Gurke.